‘I will try my best to attend it, and I call upon all lovers of maskandi to do the same,’ he says. Zulu tribal leader Mangosuthu Buthelezi has called upon lovers of maskandi to join him in attending a concert celebrating the music genre on March 30. Maskandi artist Khuzani Mpungose hopes to fill up Durban’s Moses Mabhida stadium in his quest to put the genre on the map through the concert, whose organisers have sought the blessing of Zulu King Goodwill Zwelithini. “I have known about this upcoming concert for quite some time. 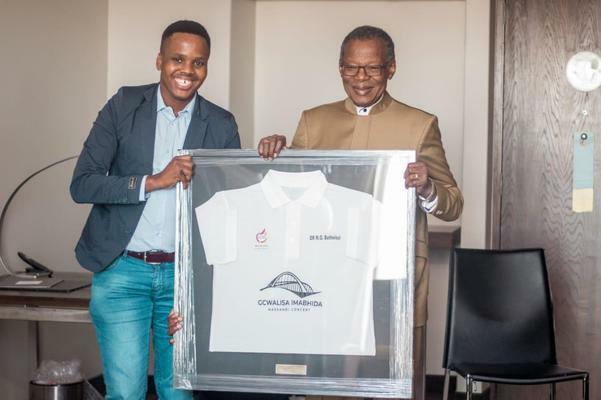 When an invitation was extended to our King, I considered myself as also invited,” said Buthelezi, who is also the leader of the Inkatha Freedom Party. Organisers said the concert will be a celebration of maskandi taking its rightful place as a unique, respectable, worthy, universal, and proudly African music genre, having long shaken off its erstwhile reputation as an art form only associated with uneducated people. Khuzani will share the stage with top acts such as Ihashi Elimhlophe, Shwi NoMntekhala, Ingane Zoma, Dlubheka, Imthente, Amageza Amahle and Benny Mayengane.